pint-sized mama: A Step of Faith! I hope you enjoyed "meeting" my May sponsors! It's been so fun getting to know these ladies and I hope you got the chance to visit their blogs and ministry websites. When I started Life of a Pint-Sized Mama, I wasn't sure of the direction this blog would take. My hope was to have outlet to share my life as a smaller-than-average mama and to share my faith. What I didn't realize was that I would meet some amazing people and be able to encourage other women. 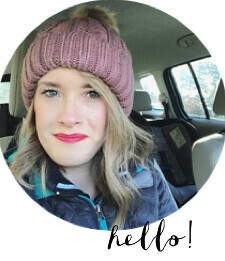 It is my desire to invest in other people while also being a full-time mom, and I've begun to realize that this blog is one avenue for that! It's so exciting for me to dream about how I can influence others for Christ through this blog. I also believe that motherhood is a role that comes with incredible influence, and I want to make the most of that. Over the past few months, I have looked into several blogging conferences. I want to learn about communicating more effectively, grow as a writer, and connect with others who have a heart for sharing Christ through social media. That's why I was SO INCREDIBLY EXCITED when I found out that 3 of my favorite bloggers are putting on a blogging conference in October. The title and tag-line of the conference? "Influence: Our Common Thread is the Good News." To quote the conference's website, "If you’re a blogger or social media pro who wants to grow in her ability to leverage the internet to make much of Jesus–and help support your family’s ability to act and minister – Influence will be that conference. We’ll have professionals who make real and consistent money ready to teach you how to be all about the Gospel and support your family’s ability to spread it." I am amazed at how faithful the Lord is. The timing of the conference is awesome, and the ladies who are hosting it are three of the women whom I admire most in the internet-world. So today, I bought a ticket! Eeep! I kind of can't believe I'm saying that. I'm pumped, anxious, nervous to leave Nicholas for 4 days, and excited all at once. I've spent the past 2 weeks praying and seeking the counsel of wise friends and family. It blesses me so much that my family is behind this decision and they are excited along with me to see what the Lord will do through this conference. If you have questions about the conference, check out their website! There is information on the heart behind the conference, the hosts, the speakers, etc. If you have questions for me, feel free to email me at mackenzie@pintsizedmama.com. Even though my job for the past three years has been to travel overseas, I'm not huge on adventure. The thought of traveling alone and meeting a huge, new group of people scares me. But I'm praying that taking this step of faith will provide an opportunity for much growth. I'm praying that YOU will be blessed in the future through my attendance of this conference! I covet your prayers and I hope to meet you there! Thank you for letting me share with you. I'm going too!!!! I really hope I get to meet you there! !